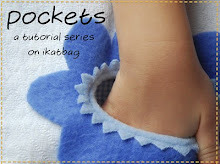 ikat bag: Jam Tarts in Homespun! 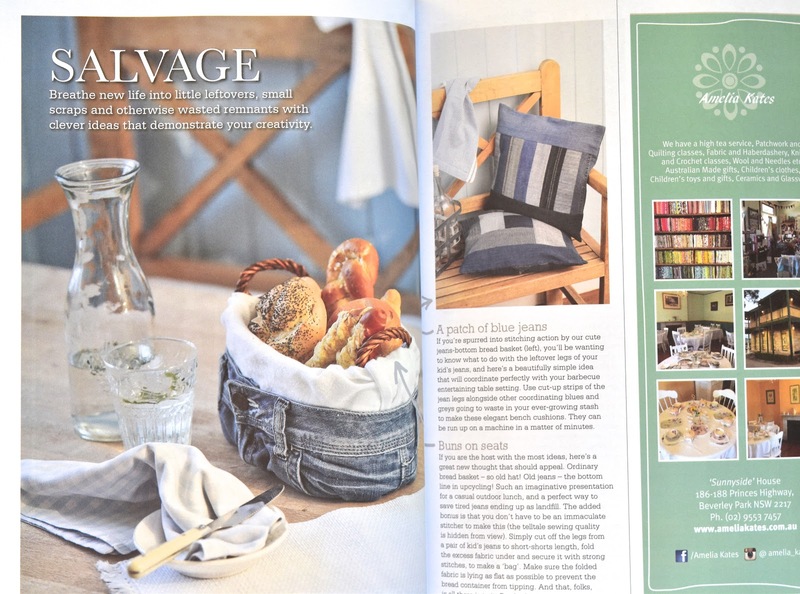 The lovely Homespun magazine again - this time it's their 150th issue! Truly, an honor. 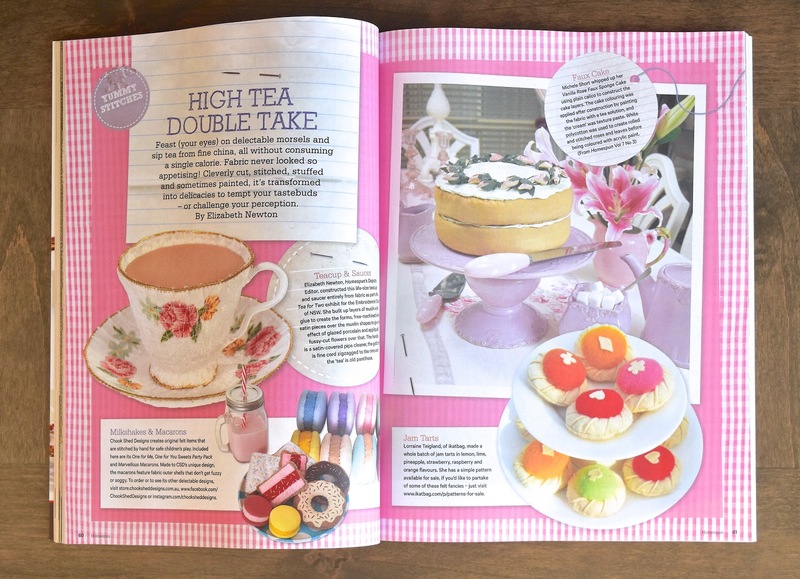 In this particular issue, there is a feature on fabric high tea. Ta-da! My jam tarts! So excited. Here is the original jam tarts post, by the way. But wait, here is the really astounding thing in that spread - the tea cup. 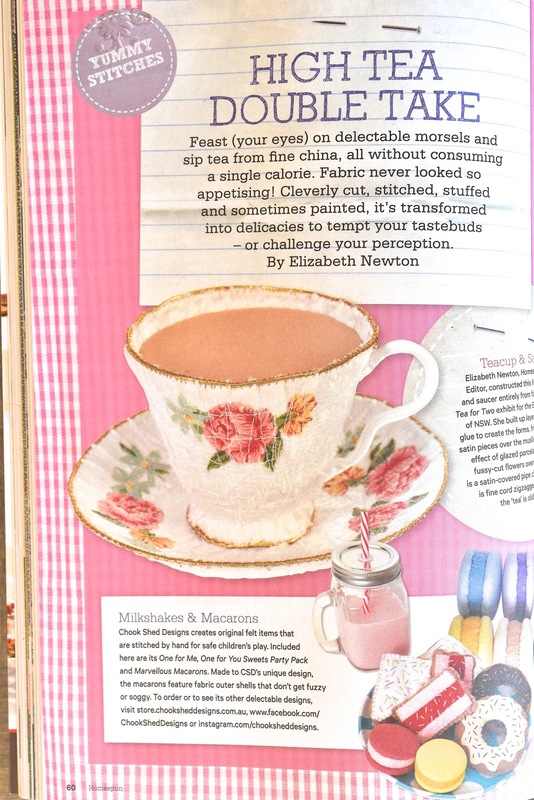 The teacup is fabric (the tea is nylon stocking)! I've seen fabric teacups before, but this one absolutely takes the cake (in the very best sense of the word). 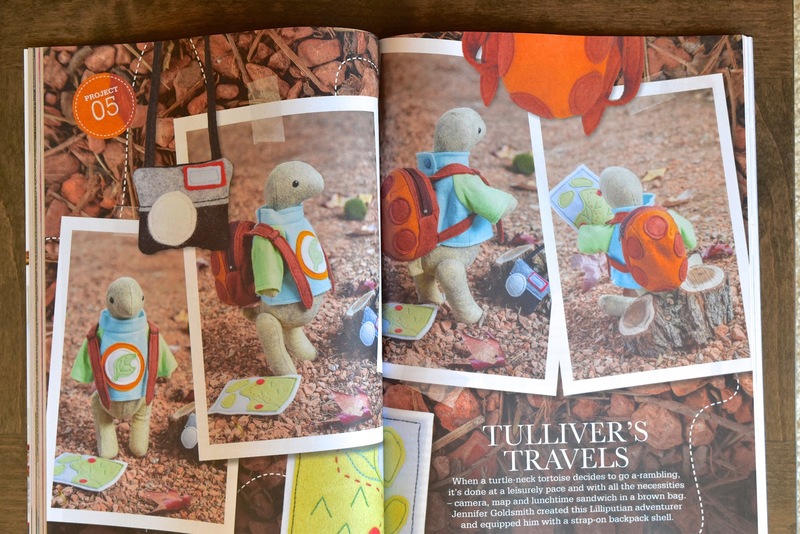 Here are a couple of other projects in this issue: this adorable turtle, whose shell is his backpack. Eeeeeeeeee! I'm dying from the cuteness. Clever upcycles of old jeans and denim scraps - and gorgeous photography. And this quilt! A celebration of china at its very best. 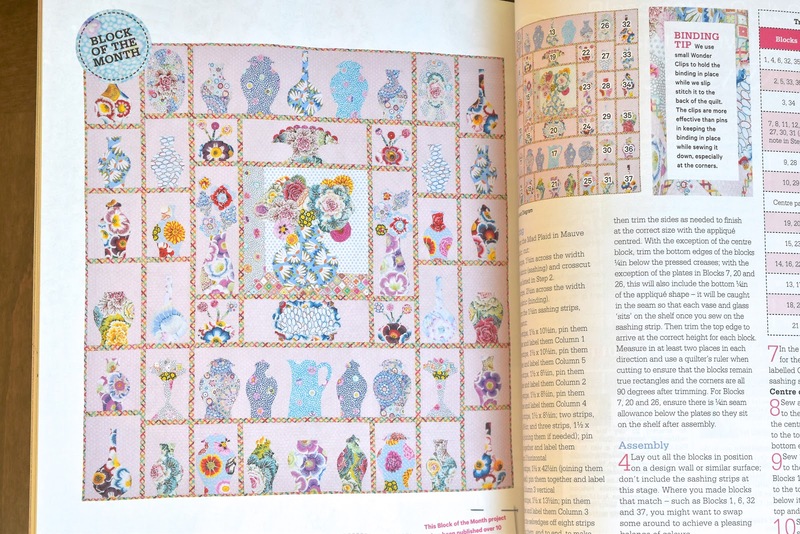 I know squat about quilting, and I'd generally pick any color in the spectrum before pink, but I really, really love this. 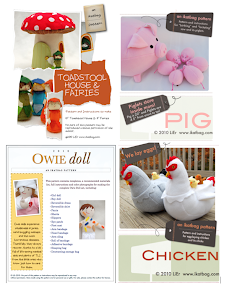 I am going to disappear for a few days - not that you'll notice, given my sketchy attendance on this blog lately - and when I come back, I shall have (hopefully) Owie Dolls in the shop for you to buy, and (even more hopefully) Time Warp bags to show and tell and deconstruct! Congrats to you! Those tarts look so yummy! That looks like a fantastic issue of that magazine, and yes... that teacup!!! 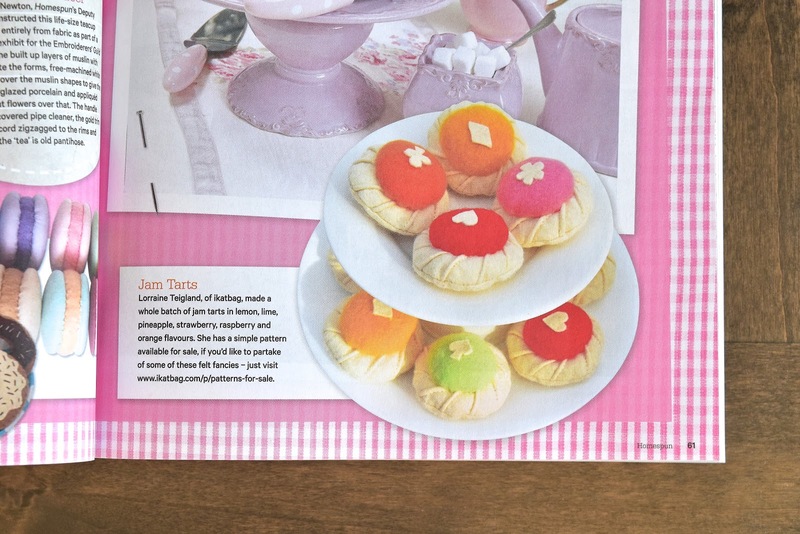 My kids still play with the jam tarts I made using your instructions and pattern years ago! 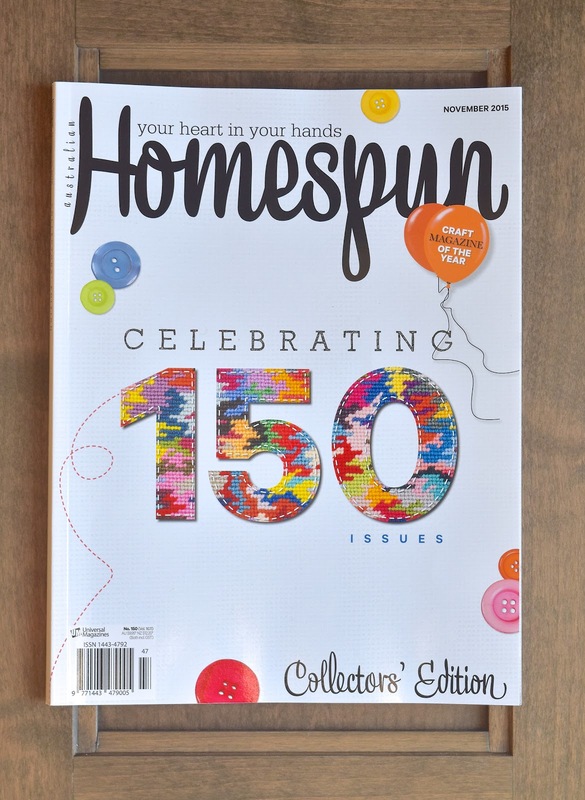 This looks like a brilliant issue of homespun. That tea cup truly is amazing. I've seen that teacup in person and it is truly remarkable. I handed it to my husband while he was talking to someone and he didn't even realise at first that it wasn't the real thing. Joy: The turtle is not my project - someone else designed it. But yes, I LOVE the backpack, too!